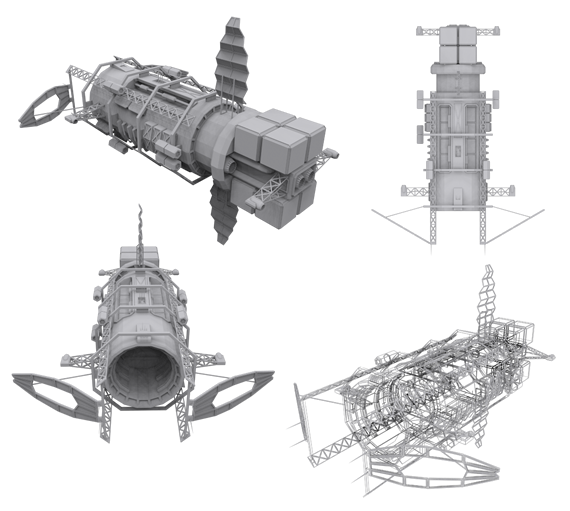 Another old ship WIP available for download and for which a texture will be made. This one gave me a lot of trouble as it had some errors due to a file conversion but after a brave fight with the forces of nature I managed to fix all errors. The "Blackstar" is among the first spaceships built by the Mining Syndicate and it is meant to eat asteroids for breakfast. A small number of automated drones which are accompanying the ship, capture small sized asteroids and tractor them inside the ship where specialized drills and other tools mine the asteroid for every valuable ore it has and ejects the remaining debris back into space. 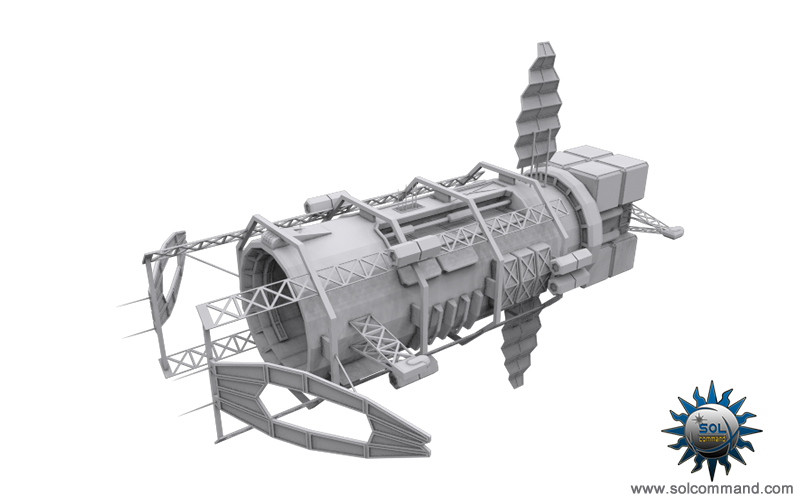 This model could be ideal for a project I'm working on. Was it ever textured? Hei Andi. This is a rather old model and I haven't textured it. I know some people did but I think they just applied some random metallic textures on various components, you could try something like that too, if you like that style.